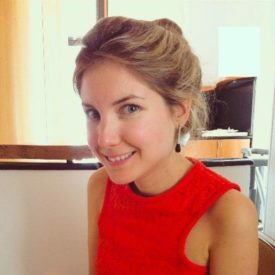 Clementine O’Connor is a Sustainable Food Systems Consultant at World Resources Institute. Lead consultant to Champions 12.3, a high level coalition mobilising action on SDG Target 12.3 to halve food waste and reduce food loss across the supply chain by 2030. Contributor to research on sustainable diets. Clementine was also Expert to the Rapporteur on the European Economic and Social Committee Exploratory Opinion on Sustainable Food Systems, adopted May 2016.